Another possible sprint to the finish line. 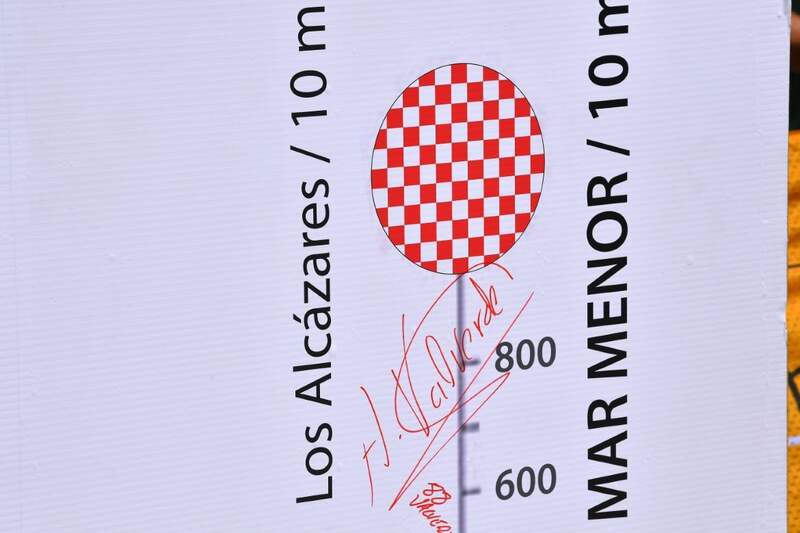 This stage has two category 3 climbs that should not break up the race. The San Javier area is a very windy territory, although this may not necessarily be an issue in August. However, high temperatures may pose a problem. 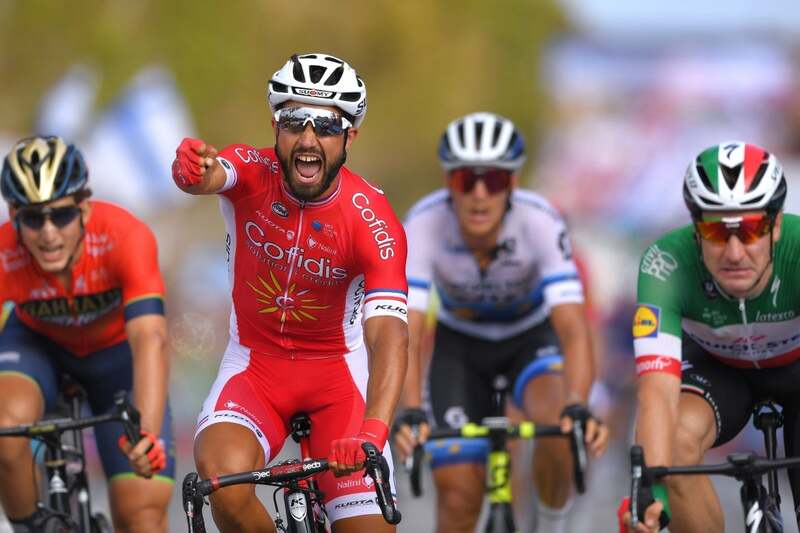 Despite freelancing the final sprint without support from his Cofidis teammates, Nacer Bouhanni won stage 6 at the Vuelta a España Thursday. 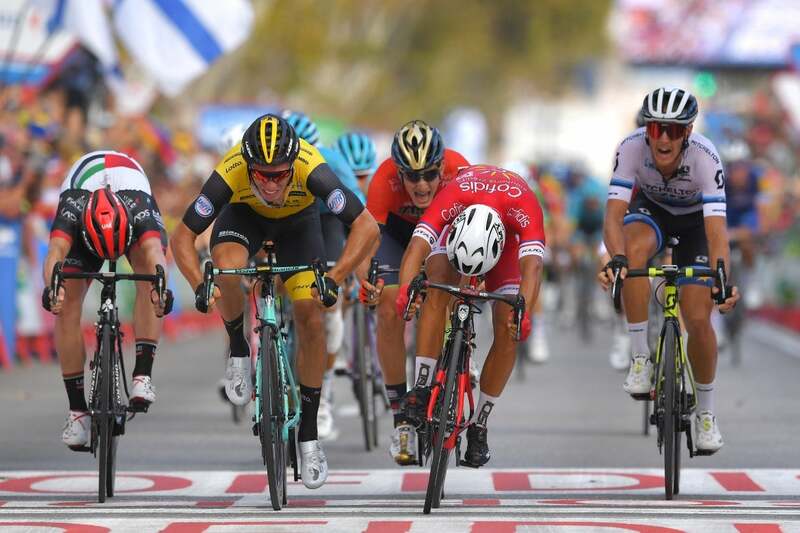 LottoNL-Jumbo’s Danny van Poppel was second. Elia Viviani finished third despite a strong lead-out from his Quick-Step team. 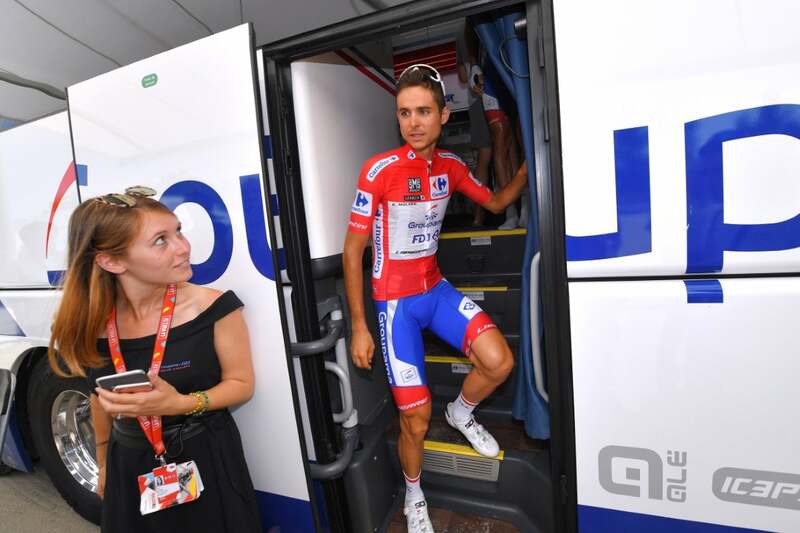 Bouhanni’s French compatriot Rudy Molard (Groupama-FDJ) kept the overall lead after finishing in the bunch. 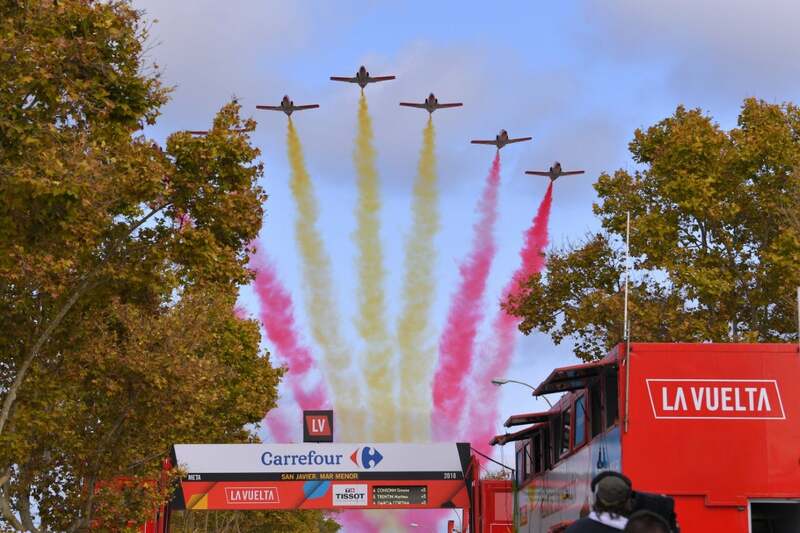 However, Molard’s team leader Thibaut Pinot was caught out by crosswinds in the final 30 kilometers, losing about 90 seconds. Sunweb’s Wilco Kelderman was also caught out and finished in the second group. 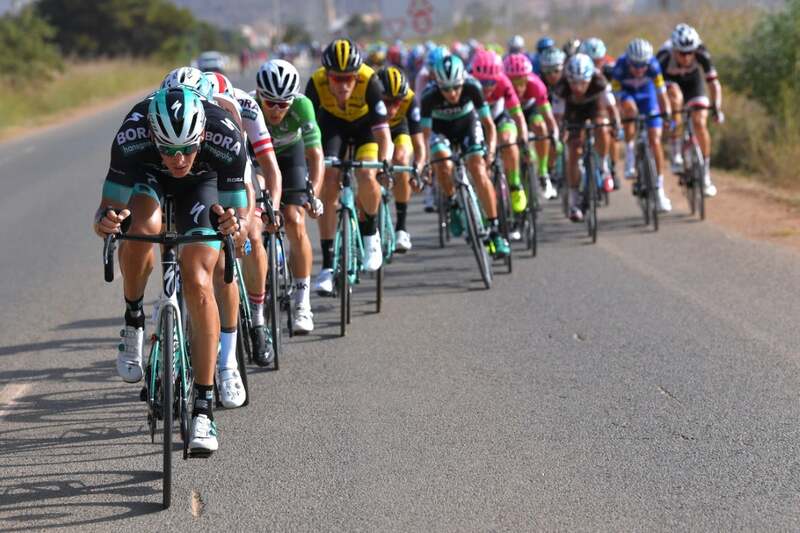 The day’s three-man breakaway was caught early, about 30 kilometers from the finish. 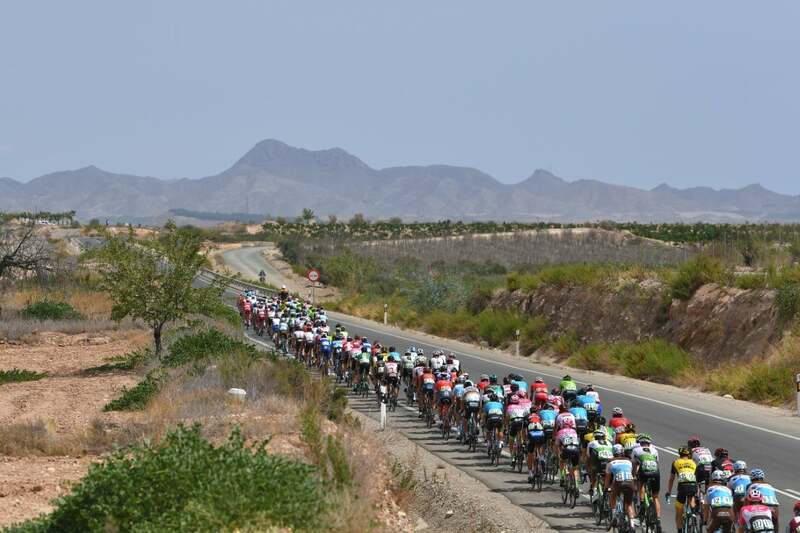 Jorge Cubero (Burgos-BH), Luis Angel Mate (Cofidis), and Richie Porte (BMC) had animated the early part of the 150.7km race to San Javier. Shortly thereafter, a crash in the bunch provoked a split. 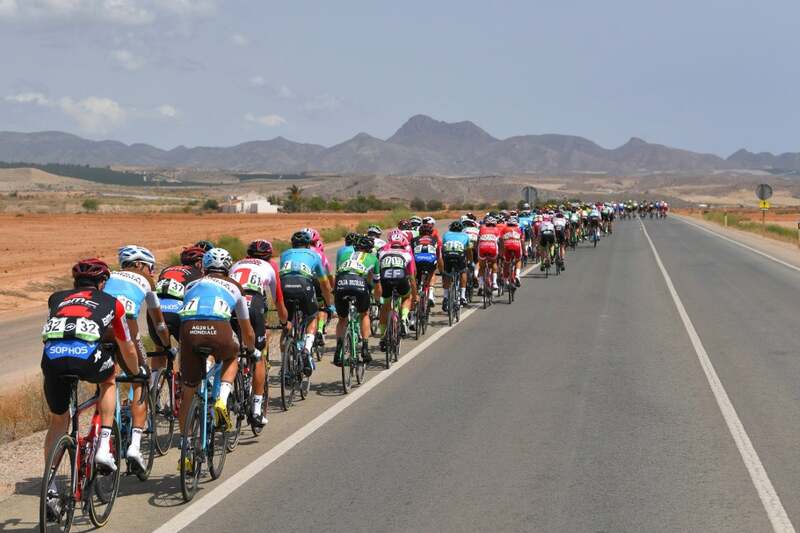 With wind whipping across the peloton’s right side, three groups soon formed. Kelderman found himself in the back group after a mechanical knocked him out of the lead bunch. 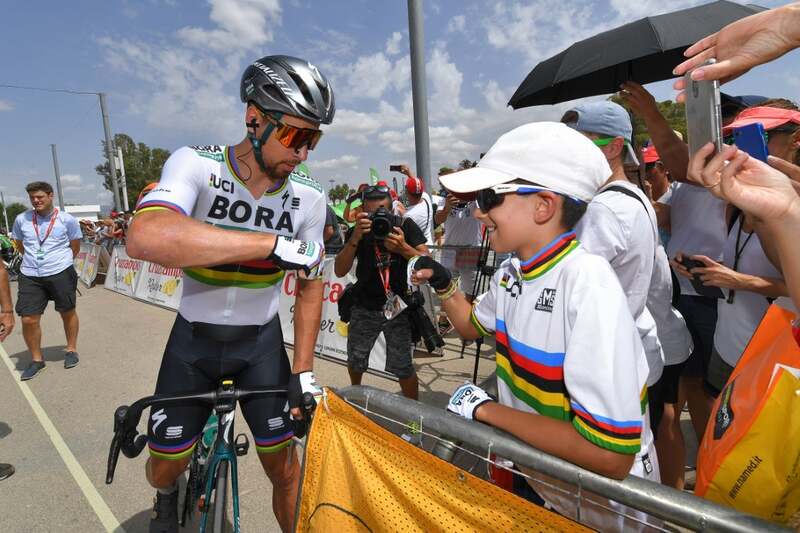 Sunweb mustered all of its riders to help its GC rider chase, but the best they could do was to catch the second group, which included Pinot. 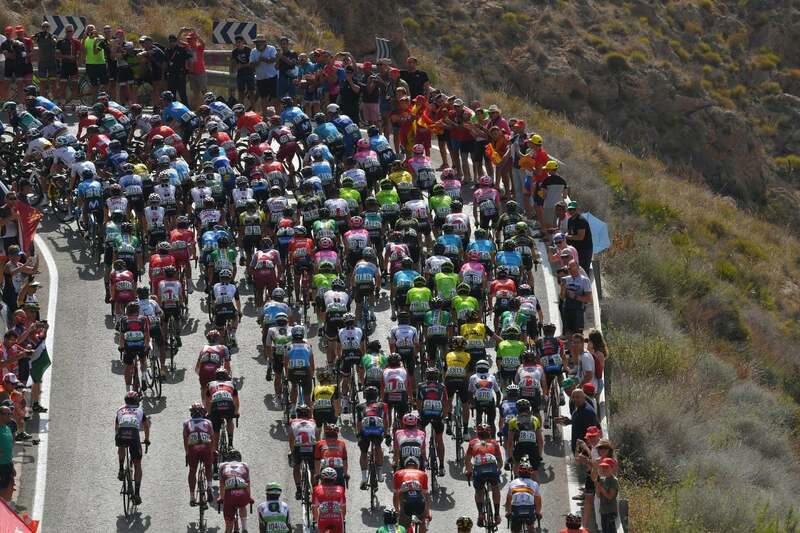 Ahead, the peloton was stretched out by a near-180-degree roundabout inside the final kilometer as things ramped up for the sprint. 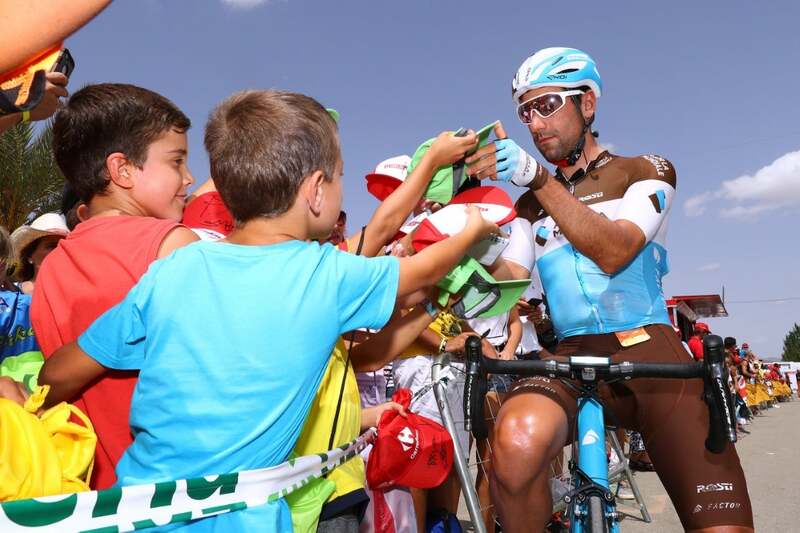 Ag2r La Mondiale’s Tony Gallopin took an early flyer, but Quick-Step shut it down, leading out the sprint. 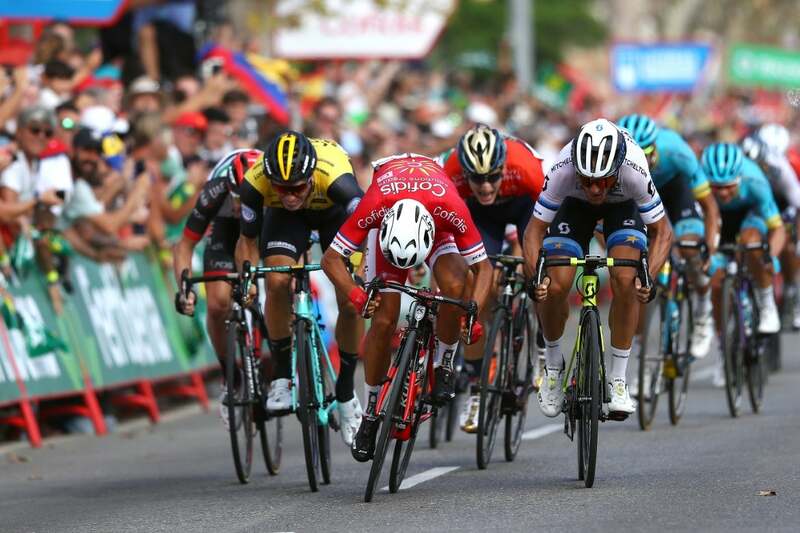 Bouhanni was clearly the quickest sprinter in the bunch, powering up the middle, with Van Poppel fading. 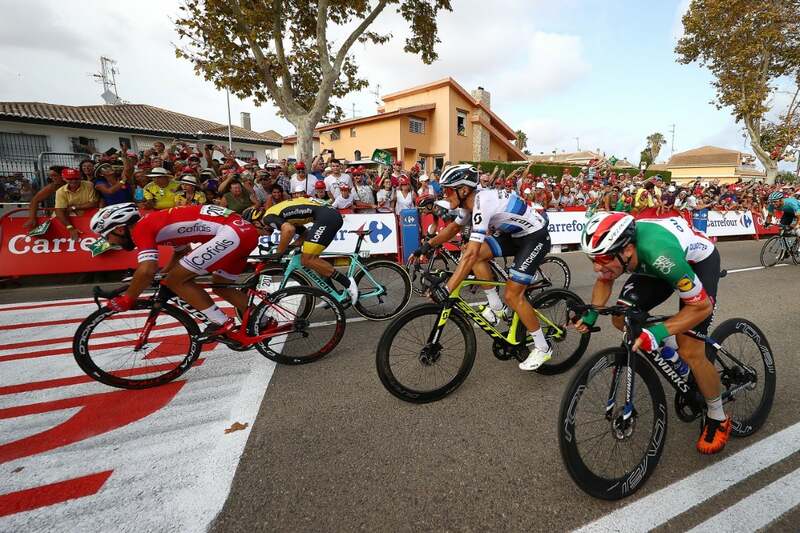 Viviani came up quick on the left barriers, but he didn’t have enough road left to challenge the Frenchman. 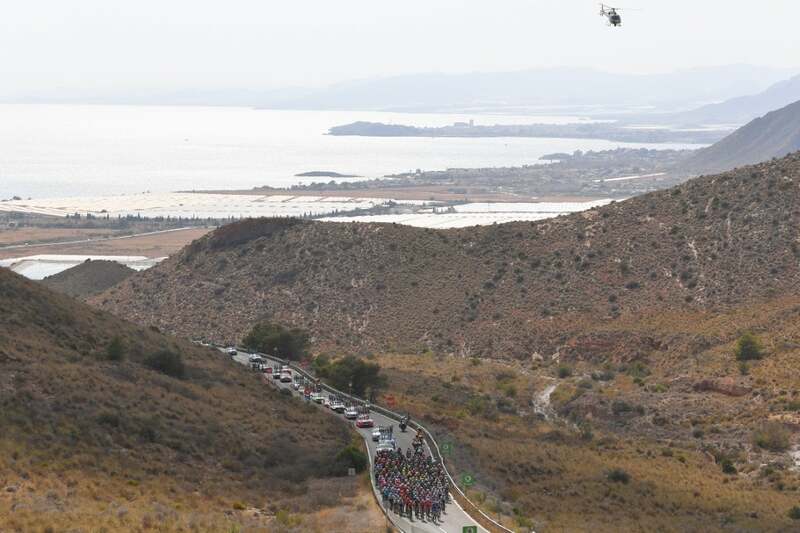 On Friday, the Vuelta takes on another transition stage from Puerto Lumbreras to Pozo Alcón. 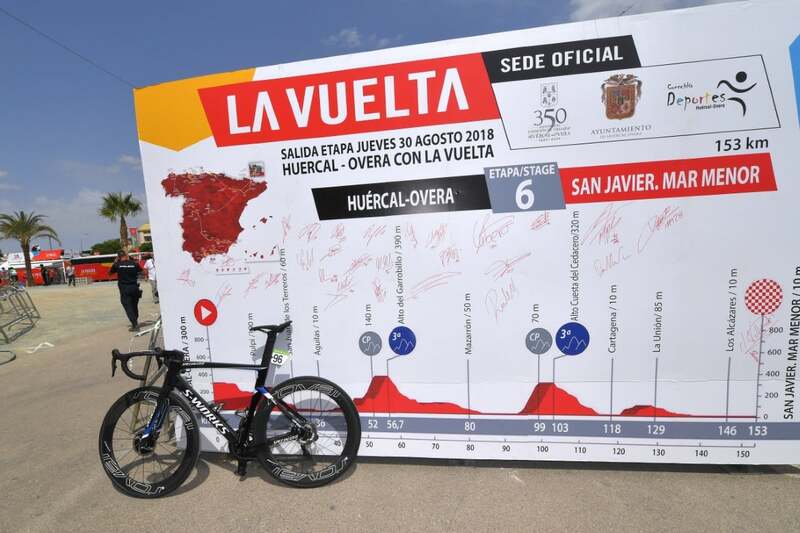 The 185.7km includes two categorized climbs. 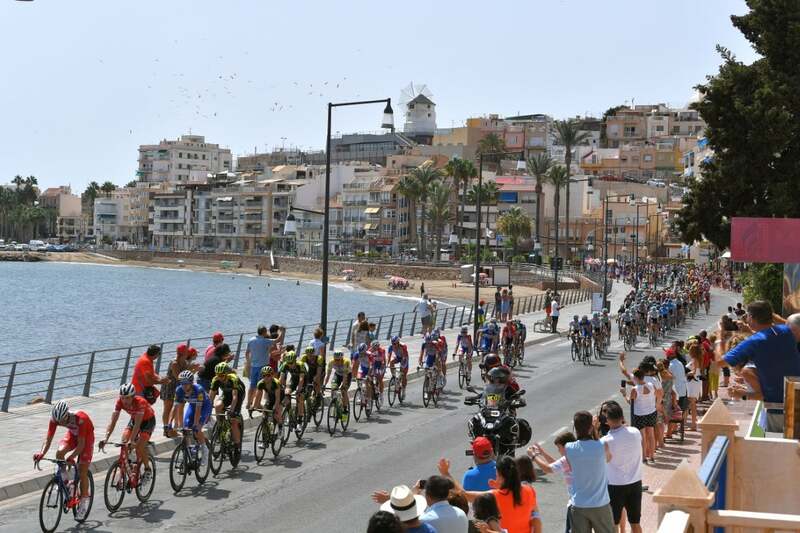 The last, only about 15km from the finish, could shake off a few of the pure sprinters.